The Ocun Rebel QC is a comfortable performance shoe. 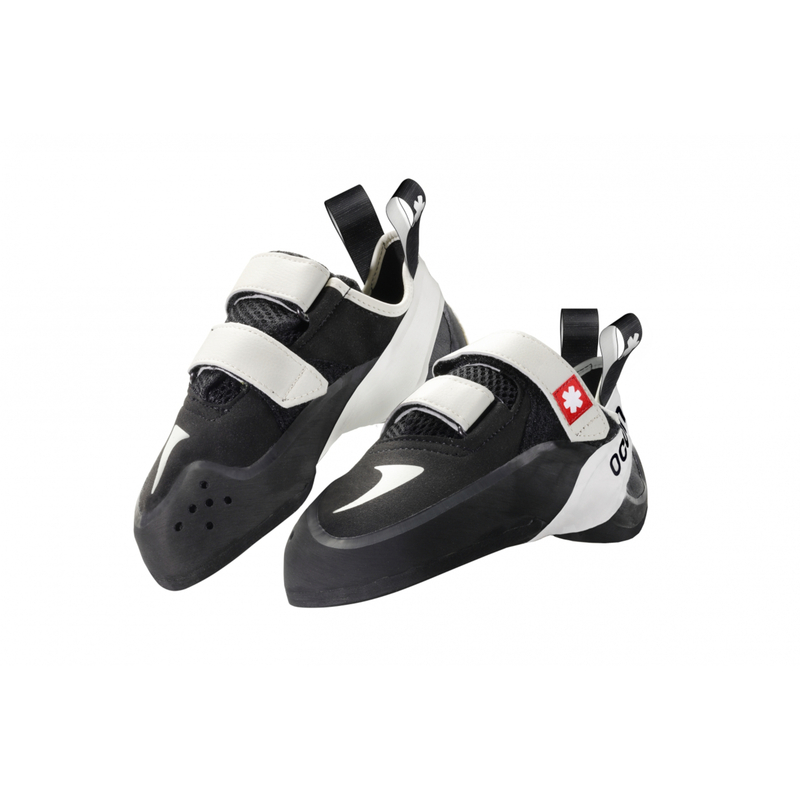 Its asymmetric design and downturned shape provide precision and performance on steep problems, while the soft midsole and padded tongue provide additional comfort. The opposite Velcro closures provide a secure fit, and the microfibre upper retains the shoe's shape over time. Wrapped in CAT Rubber 1.5, Ocun's highest performing rubber, this show offers maximum friction on the rock and maximum adhesion.